Vision and Dental Insurance can be combined into one plan with a single payment. The largest health insurance company in the world, United Health Care, offers this policy. It can be purchased on its own or the Vision and Dental Insurance can be added to a Health Insurance policy. The dental insurance has a price range of $17.00-$38.00 per a member, the vision runs $7.00 – 9.00 per an applicant, $14-$16 per a couple, and only $24 for a family. 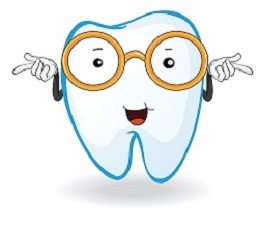 Need more information on Vision and Dental Insurance? Instant Preventive coverage with NO deductibles. No preventive coverage waiting periods. Network of 80,000 dentist throughout the U.S.
Up to 4 dental policies to choose from that can be used both in-network and out-of-network. Basic services (fillings) six month waiting period. Major benefits (crown, root canal) twelve month waiting period. If your dentist is in-network the Primary Dental, Value Dental, and Dental Premier Choice is the best option. If you dentist is out of network the Dental Premier ELITE plan would be the best option. The Dental Premier and Dental Premier ELITE plan allows you to see any dentist in the United States. Examples of Network Rates for Dental Value, Dental Premier, Dental Premier Choice, and Dental Premier ELITE. *Major and Basic dental work is subject to a $50 deductible. Six month waiting period for basic work. Twelve month waiting period for major work. Remember, No waiting period for preventive dental services. Preventive does include two cleanings plus one oral evaluation per a year, routine x-rays, fluoride treatments, sealants, and space maintainers when required. Whether your vision is 20/20 or less than perfect, everyone needs to get regular vision care. United Healthcare’s vision plan provides access to a national network of optometrists and ophthalmologists in both private practice and retail locations. By adding the optional Vision Benefit to your dental plan you get great rates on vision exams, glasses, frames, and contacts. Vision benefits include an annual eye exam for a $10 co-pay. Frames are covered for a $25 co-pay every 24 months. There is also a $25 co-pay for lenses and a $25 co-pay for Contacts in lieu of glasses every 12 months. Further details can be found once you check your Vision and Dental Quote Online. To get more information or apply for United Healthcare Vision and Dental Insurance visit the link below. Seniors visit Vision and Dental Insurance For Seniors.